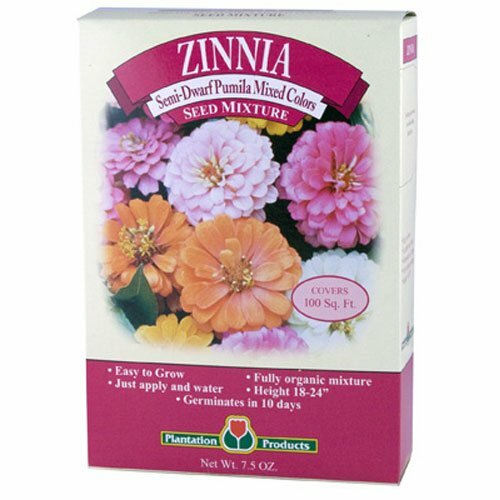 7.5 oz., plantation zinnia semi-dwarf pumila mix, seeds mixed with Vermiculite, easy pour spout on the side of the box. If you have any questions about this product by Allway Tool, contact us by completing and submitting the form below. If you are looking for a specif part number, please include it with your message.